Do you INSTINCTIVELY KNOW that Wall Street doesn't have your best interests at heart, and that there's a better way to grow and protect your money to build wealth for generations? Then this is the alternative investments show for you. 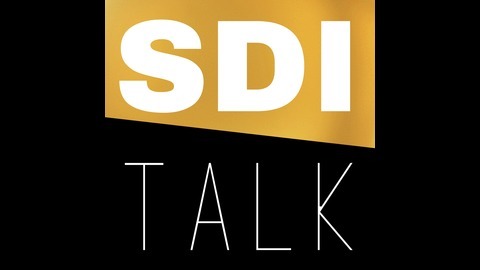 Self Directed Investor Talk is America's ONLY Podcast exclusively for Self Directed Investors (whether using a Self Directed IRA, Solo 401k, or non-retirement accounts) who trust themselves more than they trust Wall Street. You'll get innovative investment strategies, deadly accurate market analysis, and uniquely vetted profitable investment opportunities that conventional financial advisers don't even know about. You'll receive a powerful new episode every day of the week... and each episode is 10 minutes or less! Check it out right now! Hello, self-directed investor nation, all across the fruited plane! Welcome to the show of record for savvy self-directed investors like you, where in each episode, I help you to find, understand and profit from exceptional alternative investment opportunities and strategies. Earlier this week I was having a conversation with a colleague who heads a really cool group of dentists and doctors who mastermind together to build great investment portfolios. He told me that several of his members reached out to him because they’d heard about something called a QRP that was clearly superior to a self-directed IRA, and maybe even better than a self-directed 401(k) as well. Whatever it was, it generated a lot of excitement. The propaganda that my colleague’s clients heard suggested rather heavily, but maybe only indirectly, that this mysterious new financial tool was a different sort of animal… distinct from self-directed IRA’s, distinct from self-directed 401(k)’s… a different animal entirely. My colleague asked me about it, and wanted to know what I thought about it. It immediately struck a strange tone with me, because the acronym QRP is not well known in the world at large, but is extremely well known in the retirement industry. It stands for Qualified Retirement Plan. In a generic sense, a qualified retirement plan isn’t actually an account type… it’s a broad category of account types that includes other categories like “defined benefit” plans and “defined contribution” plans. So QRP is a known quantity to people in the retirement industry. Really attractive features, to be sure. But those features make it sound strikingly like something you and I know very well… the solo 401(k). But was it actually something different? Why was this promoter calling it a QRP? Had he stumbled onto a wonderful tool about which I was not aware? Well, no. It was exactly as I thought. The “dirty little secret” of the promoter who pushes QRP’s is simply using the term QRP to refer to self-directed 401(k) plans. That’s kind of misleading because 401(k)’s are only one of a large number of types of qualified retirement plans, but hey… whatever, you know? 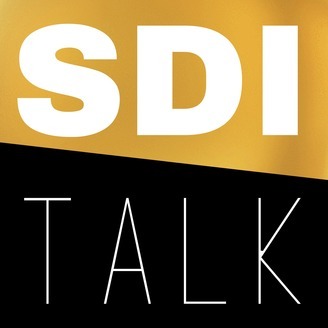 So to you, my dear friends in SDI nation… allow me to tell you with the utmost clarity: As has already begun to happen, you’re going to see more and more people marketing solo 401(k)’s, because it turns out that you don’t really have to have any particular licensing to do so. And some of them are going to be creative in their marketing and will call their product by a different name like QRP. I guess I don’t blame them. It’s different than the typical name “solo” or “self-directed” 401k… and being an unusual acronym, QRP sounds mysterious. But don’t let yourself be distracted. I can tell you now with astoundingly high confidence that anytime you hear about a self-directed account that offers that collection of features, it’s nearly certain that what you’re dealing with is a solo 401(k), no matter what else it’s being called. My friends… invest wisely today and live well forever.